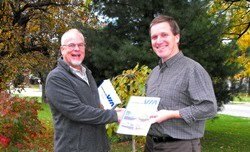 I just received a review of my book from Steve Boyko. 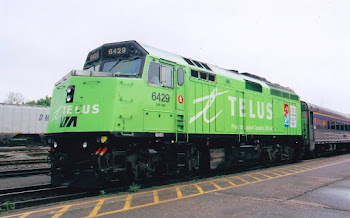 Steve is a Winnipeg railfan, photographer and blogger. 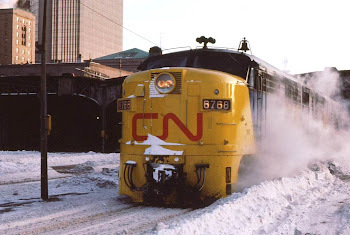 Steve's blog Confessions of a Train Geek is located prominently in my sidebar on my main blog, Trackside Treasure. 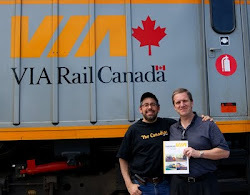 When he bought his copy, Steve said he'd review the book. I appreciate the thought Steve has put into his review, most of which follows in italics. 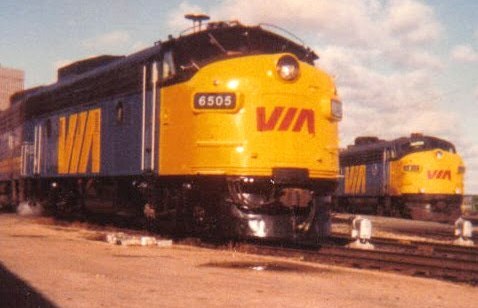 Pictured above are VIA No 1 and No 2 at Winnipeg in 1980. 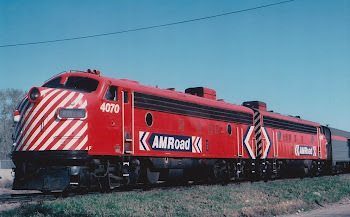 The book also includes a foreword by Jason Shron of Rapido Trains, paint transition data for the modeler, provided by Jakob Mueller, a brief VIA roster, train schedules in the Ontario-Quebec, the various Canadian/Super Continental routings, and recommended readings. 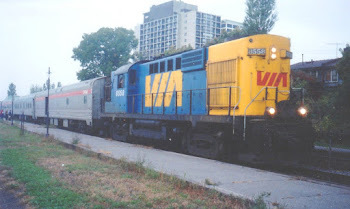 I think Trackside with VIA is a book by a railfan, for railfans. 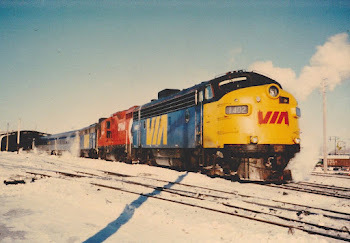 This book will appeal to VIA Rail enthusiasts, and train enthusiasts in general. I don't think the "general public" (whoever that is) would really enjoy it, and they are not the intended audience. The book is well written, with very few typos, well laid out, and it is professionally printed. I love the cover - it is very reminiscent of VIA timetables from days gone by.